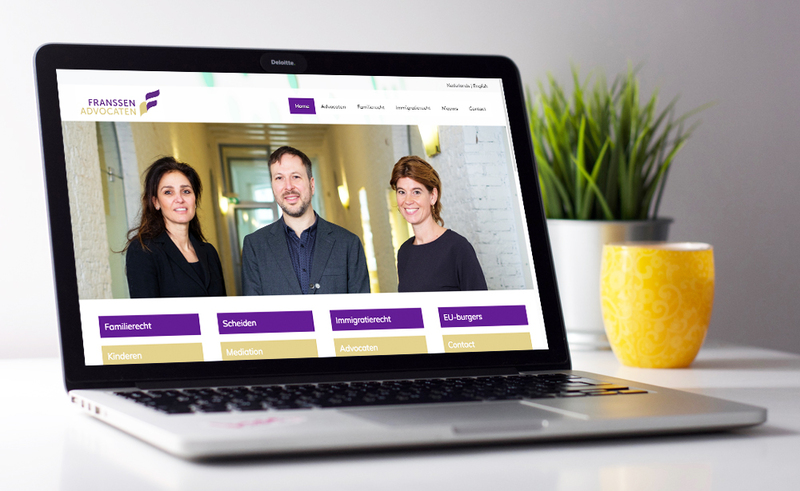 Franssen Advocaten’s new website is a refresh of the website we had made for them three years earlier. They still liked the old design but wanted to update text and feature images of their new office location and new staff. This website is full-width, responsive and features a light, airy look. We arranged an on-site photo shoot with Dave Pelham Photography in order to include lots of photos around the office and of their three attorneys, so they’d seem familiar, friendly and approachable to visitors. We translated their Dutch text to English and added researched SEO terms to all pages in both languages.